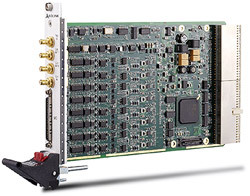 ADLINK"s PXI-2022 is a simultaneous-sampling multi-function DAQ card to meet a wide range of application requirements for PXI bus computers. 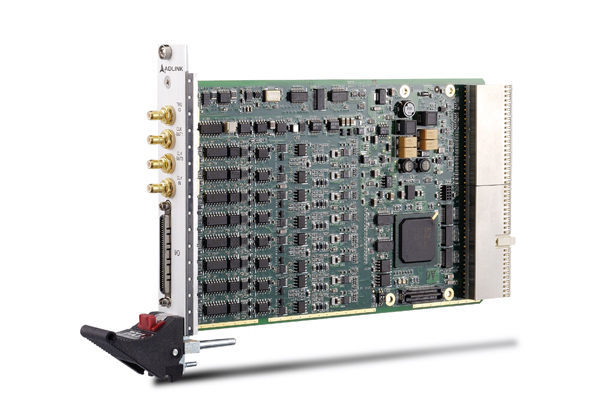 The device can simultaneously sample 16 AI channels with differential input configurations in order to achieve maximum noise elimination. If more analog input channels are required, multiple cards can be synchronized through the PXI Trigger bus. The PXI-2022 features digital triggering, 4-CH programmable digital I/O lines, and 2-CH 32-bit general-purpose timer/counter. The auto-calibration functions adjust the gain and offset to be within specified accuracies such that you do not have to adjust trim pots to calibrate the cards.